The news this past year out of Mexico has not been good. According to a tally from the country’s leading media outlets, approximately 12,000 people died in Mexico’s drug violence in 2011. That matches the tally of U.S. combat deaths in the Vietnam War for 1967 and 1969, respectively, though falls shy of the over 16,000 who died in 1968. Observers of the present situation in Mexico have no choice but to conduct their own tally: the government of Felipe Calderon of the Partido Acción Nacional (PAN) has yet to provide its own death count, despite previous promises. The official numbers, which may be more conservative than those provided by the media, are now expected to be released later this month. All in all, media observers estimate that over 50,000 people have died in Calderon’s “war on drugs”, which began shortly after he took office in December, 2006. To put this into some context, the United States suffered an estimated 58,000 combat and non-combat deaths in the Vietnam War – all overseas, and for a country which at the time had approximately double the present population of Mexico. For 2011, there was a generalized consensus among respected media sources in Mexico. 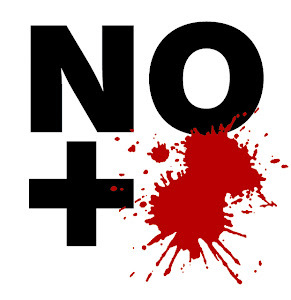 The daily newspaper Reforma reported 12,359 drug-related killings in 2011, a 6.3% increase over 2010. The paper claimed there were 2,275 drug killings in 2007, the first year of Calderon’s campaign. Daily Milenio recorded 12,284 drug-related deaths last year. Interestingly, La Jornada counted 11,890 deaths in 2011, a 11% decrease from the previous year. But Mexican political scientist Eduardo Guerrero Gutierrez has estimated a significantly higher number. He believes that the number of murders in 2011 was around 16,700, up 9% from 2010. If so, 2011 could be Mexico’s 1968. One can only hope that, as with the Vietnam War, the government will pull out and the deaths will decrease. Last year was notable for the increased militarization of domestic space in Mexico, and also for the horrifyingly violent turf wars between the two dominant cartels, the Sinaloa (Pacific Cartel) and Los Zetas. Edgardo Buscaglia, a well-respected crime analyst, has gone as far as to claim that 71.5% of Mexico’s municipalities are under criminal control, though this claim has been disputed. When I spoke to Mr. Buscaglia last November for an article I was researching, he stated that the situation would not improve until Mexico’s elites were affected. He clearly believed that the violence in Mexico was allowed to continue due to a corrupt society that, to date, still served the ruling classes. Around the same time I spoke to John Ackerman, a law professor at the Universidad Nacional Autónoma de México (UNAM). In our conversation Ackerman expressed the view that the number of dead – which he then agreed was at 50,000 and climbing – had spiralled out of control as a result of Calderon’s war and the militarization of Mexican society. Why had this happened? The answer wasn’t as complex as one might imagine: in Mexico’s rush to democracy, a corrupt system that had previously been integrated with one political party – the Institutional Revolutionary Party (PRI), which ruled Mexico for much of the 20th century – was now out to tender. This created an open market on government services, most notably the political and security apparatus. As a result, criminal activity increased. In response, Felipe Calderon decided to play tough. In his view, the military could be relied upon, with the navy being the most trusted of all. Then all hell broke loose, as the country fell into scenarios not seen since the Mexican Revolution, in which local police forces, federal and state authorities, the military – both army and navy – and at least five major criminal organizations, as well as many subsidiary gangs, embarked on an ultra-violent campaign for money and turf. And when war is declared, we can be sure of one thing, and one thing only. The victor is the most violent. It is, after all, a war. The toughest, baddest, best organized group will be victorious. Enter Los Zetas, a criminal organization of psychopathic crudity. 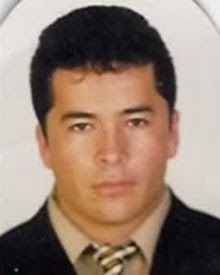 It is Los Zetas, we are told, who now operate as the most powerful cartel in Mexico, stronger even than the Sinaloa Cartel, run by the most wanted man in the Americas, Joaquín Archivaldo Guzmán Loera, or “El Chapo”. It is important to note that the chaotic situation has much to do with how the cartels are themselves organized, and on the effects of the full-frontal government attack. Los Zetas are a younger organization with a military background: they are less hierarchical and compact than the well-established Sinaloa Cartel, and tend to have looser control over many smaller, local gangs. Why is this mess the government’s fault? The federal administration of Felipe Calderon likes to present itself as a victim. It certainly did not want the bloodbath that has befallen the country on the past five years. However, at best it can be accused of a naiveté that can only come from a stunning disconnect, one that the ruling classes of Latin America seem to be expert at. This was, after all, a war of choice. Below are four reasons why the Mexican government should take the blame for the death of over 50,000 civilians on its own soil. Los Zetas were trained by the military. This has been written about extensively, but if you are unaware of the history of this organization, please keep these facts in mind: the most insanely violent criminal organization in the Americas was trained by the Mexican military. Specifically, Los Zetas’ leaders started as members of an elite Special Forces group built specifically to fight the cartels in Mexico. Thirty of these Special Forces soldiers were hired on as gunmen for the Gulf Cartel. They then broke off and started their own organization. Given that they had limited access to commodity-based drug trafficking, they branched out into human trafficking, extortion, and kidnapping. At one time they fought for control of the northeast, but now their “plaza” extends as far west as Guadalajara and as far south as Guatemala. Militarization has increased the violence. People look upon their military fondly because it fights wars elsewhere. As a result, the military can be romanticized. However, all militarized environments are subject to human rights abuses and increased violence – this isn’t a criticism unique to the Mexican military. The military will inevitably be inept at basic policing, for the simple reason that they are not trained at investigation, evidence collection, interrogation, and jurisprudence. The government’s decision to put boots on the ground has only made the situation worse. The government has failed in its economic strategy. The PAN is a centre-right party, and was the political organization that first broke the PRI’s grip on power. The PRI had ruled from December, 1928, until December, 2000. When the PAN’s Vicente Fox first took power, Mexico was already six years into the North American Free Trade Agreement (NAFTA). Market liberalization increased under the PAN, but it had been underway since the Mexican debt crisis in 1982, when the IMF conditioned lending on privatization. But because Mexico had been a corrupt, one party country, its privatization resembled Russia’s after the collapse of the Soviet Union: oligarchs picked up monopolies, and individual Mexicans got burned. As well, the rich, used to having the system work for them, continued to avoid paying taxes. With no money for education, health, or law enforcement, and the wealthy living behind their walls, the drug trade did well. And those who were making millions trafficking were not about to stand down when Calderon began his ill-advised war. Institutions left weak. The Calderon administration cannot be blamed for having lost patience with endemic corruption in Mexico, but it was reckless in the extreme to embark on a drug war when Mexico’s institutions were so weak. There is no magic wand here; however, a step-by-step approach is required, with the first being to address taxation and the transparent disbursement of funds for education, healthcare, and economic development. This then reduces the appeal of criminal organizations, and strengthens communities. Some of this is happening, but governance at the local level is in crisis: thirty-one mayors, former mayors and mayoral candidates have been killed, as well as Rodolfo Torre Cantú, the PRI front-runner for governor of Tamaulipas. The police and the prisons are still in a state of disarray. To have gone on a full scale assault with such a weak social infrastructure could only result in disaster. That said, the government would like us to look at some positive outcomes of late. The first is that in Ciudad Juarez, known for its extreme violence, killings in 2011 were down some 40% compared with 2010. As well, the level of violence nationally seems to have stabilized, given that from 2009 to 2010 killings jumped by 60%. And it can be argued that the government is getting smarter in terms of how it deploys force. There is now a rapid and more effective deployment of troops and federal police in areas where violence surges, particularly in response to Los Zetas. The best examples of this have been in Acapulco (Guerrero), and Veracruz. Within a few weeks of deployments in October, killings in these cities were reduced considerably. Sadly, violence is still a serious problem in both Guerrero and Veracruz. As well – and this is very important – the Mexican military is no longer above scrutiny, with the Comisión Nacional de Derechos Humanos, or CNDH, Mexico’s Human Rights Commission, being much braver in its assessment of abuses committed by military forces and federal police on civilian populations. There is, however, one cause for concern. After everything that I have written in this post about how the PAN have screwed up, and how clumsy they have been in addressing this conflict in which so many have died, there is one outcome that could be worse for everyone, and that would be the return of the PRI and its pretty-boy, shallow, and not very bright presidential candidate, Enrique Peña Nieto. President Calderon is right to warn that the Enrique Peña Nieto and the PRI, presently leading the polls, is larded with political hacks who want to return to the old ways where corruption was fully integrated into Mexican political life, and everyone had to “pay to play”, including the cartels themselves. In this scenario, PRI visionaries who stand up to crime are taken out, and Mexico never fully transfers into a functional democracy: instead, it becomes like Russia, a largely peaceful oligarchy run by a corrupt and criminal elite. Let’s hope that doesn’t happen, and that this is the beginning of the end of Mexico’s Vietnam.